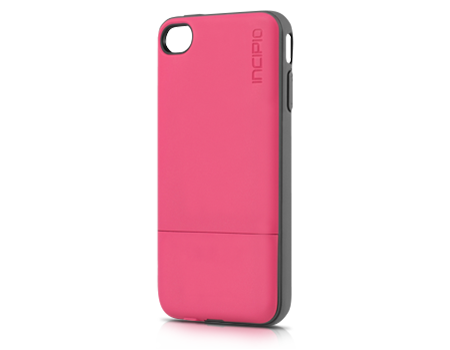 The Incipio Cashwrap Isis Ready Case for iPhone 4 and 4s provides easy tap-to-pay technology and works in conjunction with NFC technology. Incipio’s CASHWRAP™ Mobile Wallet Case offers groundbreaking NFC technology to enable the Isis Mobile Wallet® iOS application. Designed with a sleek, co-molded Plextonium™ frame, the CASHWRAP™ Mobile Wallet Case is the smart mobile payment option for any iPhone 4/4s user. The Isis Mobile Wallet app holds participating payment and loyalty card information and organizes offers and deals from participating merchants so they are always with you. Paying with the Isis Mobile Wallet is safer than your existing wallet while giving you the same benefits and protections that apply to your plastic cards. Embrace the highly anticipated CASHWRAP™ Mobile Wallet Case for your everyday endeavors. Important: This Isis Ready iPhone case is designed to work exclusively with AT&T post paid iPhones. They will not function properly with an iPhone from any other carrier.